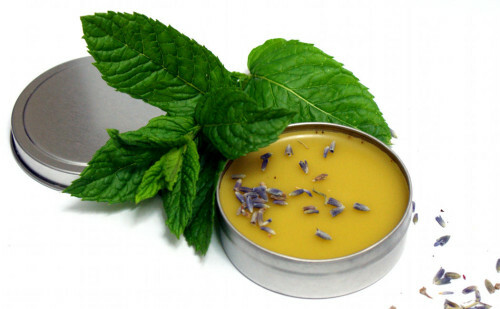 Make this amazing lavender mint balm recipe for Mother’s Day! This plant based homemade product is super easy to make and is wonderful as a gift or for yourself! If your mom loves the outdoors then she’s sure to love this nature inspired, plant based lavender mint balm recipe. Perfect for hands, body and lips, this homemade lavender mint balm recipe is made from natural lavender and mint infused oil and raw, unfiltered beeswax. It makes a lovely and thoughtful handmade Mother’s Day gift idea and is ready in just a few hours! Next, use graduated transfer pipettes to measure out the vitamin E and, if desired, the lavender essential oil. 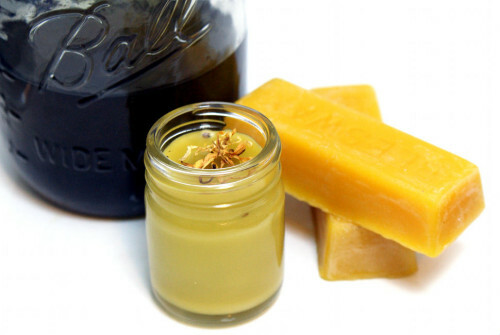 Stir into the liquified beeswax and oil mixture then pour into glass salve jars or tins. 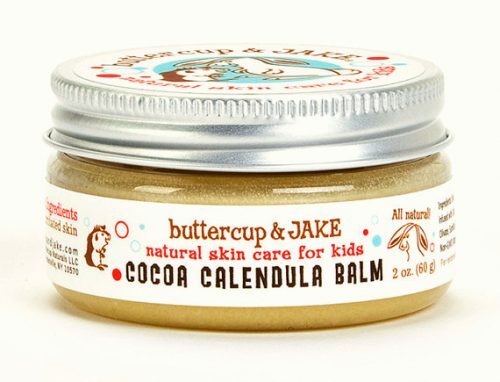 Allow to cool completely then use as desired wherever your skin needs a little extra love! 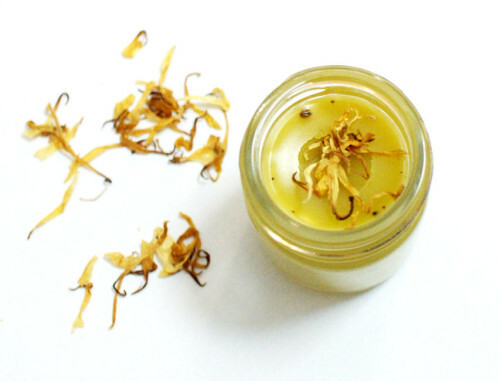 Want to mix this natural balm recipe up a bit more? Try infusing the lavender flowers with lemon balm (another mint), lemongrass or even lemon verbena. Or add 1ml of lemongrass or lemon balm essential oil into the balm recipe. 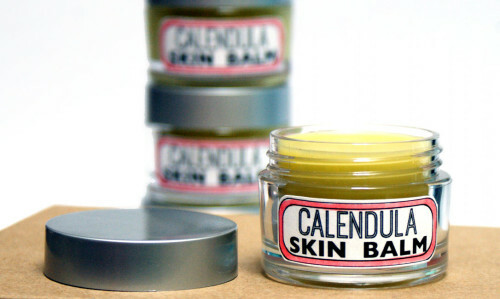 If you like this recipe then be sure to also try my natural herbal calendula balm recipe. 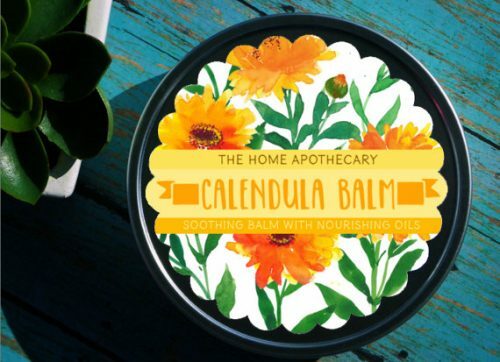 Crafted using wild violet, calendula and blue vervain infused olive oil, this natural balm can be used topically on minor cuts, bruises, and stings. Or, for more natural skin care recipes, follow my DIY Bath and Body board on Pinterest. You can also find and follow me on Blog Lovin’, Facebook, Twitter, Google + and Instagram as well as subscribe to Soap Deli News via email for future updates, DIY projects and recipes.! Since I discovered the kindle app for my macbook and realized I can read kindle books on any device whether I have a kindle or not, I have been regularly checking the list of Top 100 Kindle eBooks on Amazon. There are some really great ebooks books that end up on that list. Today, however, there is a DIY Bath & Beauty book on that list I thought I’d share with you. The book is titled, Beauty Gone Wild! 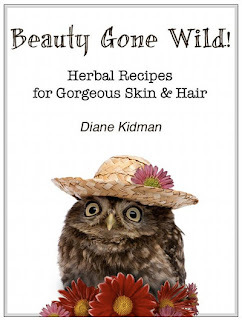 Herbal Recipes for Gorgeous Skin & Hair (Herbs Gone Wild!) by Dianne Kidman. It contains a selection of easy to make homemade bath and beauty recipes for natural skin care, natural hair care, natural hygiene, and natural perfumes – all made with natural ingredients, herbs and essential oils. So be sure to check it out and add it to your growing collection of natural bath and body recipes and books! And don’t forget you can always find a terrific selection of natural, organic herbs, essential oils, butters, and other bath and beauty ingredients at Mountain Rose Herbs.